Super Chef Kiyomi Mikuni's restaurant lies in a quiet residential area of central Tokyo, close to Shinjuku, one of the oldest neighborhoods in the heart of the Japanese capital. Mikuni�s blending of Asian and European elements achieves a perfection both of style and taste and has made him a household name in the East. Trained in both Europe and Asia, Mikuni makes the most of fresh seasonal produce to fashion specials like caf� et pate de fruit a la truffle from his fine truffle menu or filet of roast Kobe beef with seasonal legumes and green mustard sauce. Such dishes are no doubt what have made Mikuni the authority on French food in Japan. The dining room looks like a pastel of Marie Antoinette�s boudoir, awash with plenty of draping cloth and a rose color scheme that creates the dizzying effect of looking through a bottle of Laurent Perrier champagne. The service is of vintage quality too, exemplary, although somewhat formal in this day and age, guaranteeing the classic fine dining experience. 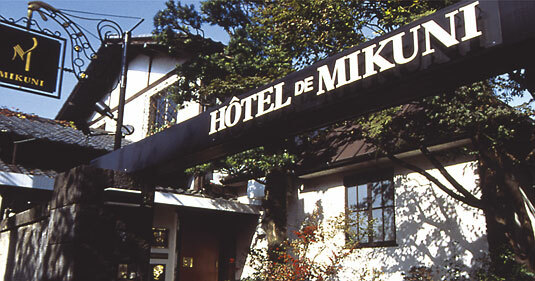 Ironically built in a reformed church, the Hotel Mikuni is a temple for gastronomy wherein dining becomes an almost religious experience, just ask the many converts.